In 2003 Anastasia received First Prize in the 14th International Piano Competition for Young Pianists in Rome, Italy, and was awarded a Special Prize. 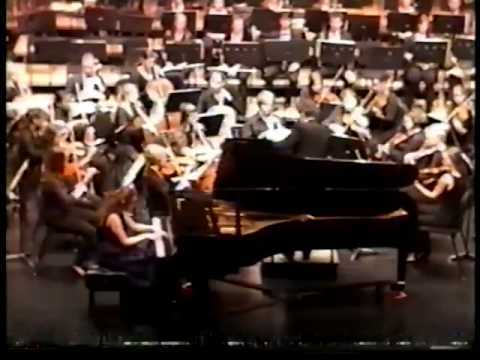 In year 2006 Ms. S. won the Puigcerda International Piano Competition in Spain. In the same year she recorded the complete works for piano and orchestra by Balakirev with the Russian Philharmonic Orchestra for NAXOS records. In 2008 Ms. S. received the “Outstanding Award”, which granted her a return engagement to give a second solo recital at Carnegie Hall in New York City. In 2010 Anastasia was awarded a Special Prize for the best interpretation of French composition at the International Piano Competition “Parnassos” in Mexico. 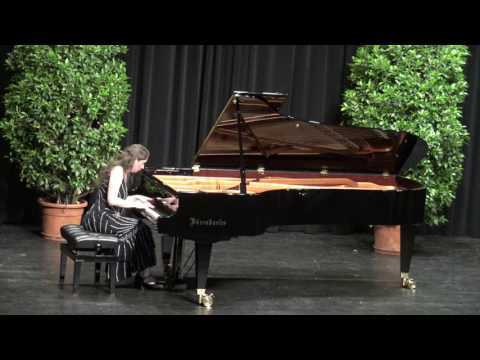 Her solo recital in 2008 at the Myra Hess Concert Series in Chicago was broadcast live on WFMT Radio, in Internet, and on the TV-Station “Channel 25“; Anastasia was invited to play there again in 2011. Her career continues with numerous appearances as a soloist both in concertos with orchestra, in solo recitals, and in chamber music concerts in Ukraine, Germany, Macedonia, Italy, Switzerland, France, Russia, USA, and Japan. Anastasia’s recent engagements included a performance at the Bolshoi Hall of Moscow Conservatory as well as solo appearances with orchestras in the United States and Germany featuring concerti by Prokofieff, Mozart, Grieg, Beethoven, Tchaikovsky, Shostakovich, and Stravinsky. In 2014 her new CD "Music of Russian-Jewish composers for oboe and piano" was released. Currently, Anastasia is working on her two new solo CD's for Centaur Records. Prokofiev Piano Concerto No.3 with the Hartt Orchestra. Bushnell Theater, Hartford, CT, USA. After the performance with orchestra in Waiblingen, Germany. The latest released CD, October 2016. For the past 3 months I've been learning piano online with Anastasia. I was skeptical about online lessons at first but I decided to give it a shot. So far everything has been great I've learned a lot of technique and every lesson has been fantastic. Everyone is amazed at how much I've progressed in such a short span of time. I can say without a doubt that my progress wouldn't even compare if I had a different instructor. I would highly recommend her to anyone who seriously wants to learn piano and would also recommend her to anyone who wants to try online lessons! I had Anastasia as my piano instructor and she was great. When I came to her it was the first time I ever touched a piano so it was very challenging, but she was very accommodating to my experience level. Not only did she teach me how to play but also the theory and history of the piano. I am planning on coming back to her as soon as I can, I recommend her to anyone. Anastasia is helping me prepare for a role in a German Operetta with spoken dialogue. She is assisting with the translation of the German libretto, pronunciation, and playing the score. She has been great to work with! My daughter 8 years old loves Anastasia, she can be very serious and also funny a good balance. Great personality!